The deadly quake in Nepal not only devastated the country killing thousands but also changed its landscape. 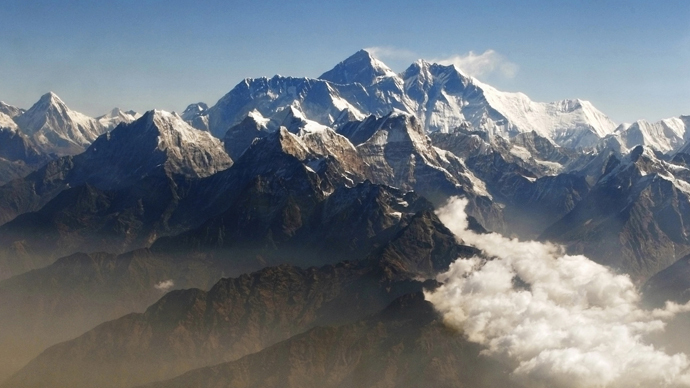 Mount Everest shrank a little bit after the disaster, satellite data shows. According to Europe's Sentinel-1A radar satellite, which passed over the affected area on Wednesday, a day after the 7.8-magnitude quake, Earth’s highest mountain is now 2.8 centimeters smaller than it used to be, reports LiveScience. The lowering is explained by a relief of strain in the Earth’s crust, it said citing UNAVCO, a nonprofit geoscience research consortium. At the same time a region about 120 kilometers long and 50 kilometers wide near Nepal’s capital Kathmandu lifted about 1 meter, which partially explains the extensive damage the city suffered. The uplift peaked just 17 kilometers from the city. The satellite data is still raw and will be analyzed by teams of scientists over the next few weeks. Roger Bilham, a professor in geological sciences at the University of Colorado Boulder, told the Huffington Post that the shrinking of Mount Everest is probably just about one or two millimeters. The April 25 quake struck 83 kilometers northwest of Kathmandu at a depth of 15 kilometers. As of Sunday, rescue authorities say there is no hope of recovering anyone alive from under the rubble. The death toll has passed the 7,000 mark.